A well proportioned and recently modernised two bedroom ground floor flat situated within this small local authority managed block, with lovely interconnecting kitchen and reception space - along with two double bedrooms with built-in wardrobes. It also has a surprisingly quiet and leafy patio garden leading onto the communal gardens. The flat also benefits from good sized secure dedicated storage. It is situated towards the southern end of Percy Road near Askew Road. Good local shops and restaurants are minutes away, as are both Wendell and Ravenscourt Parks. The area offers numerous good schools and of course the shopping and transports hubs of Hammersmith and Westfield. 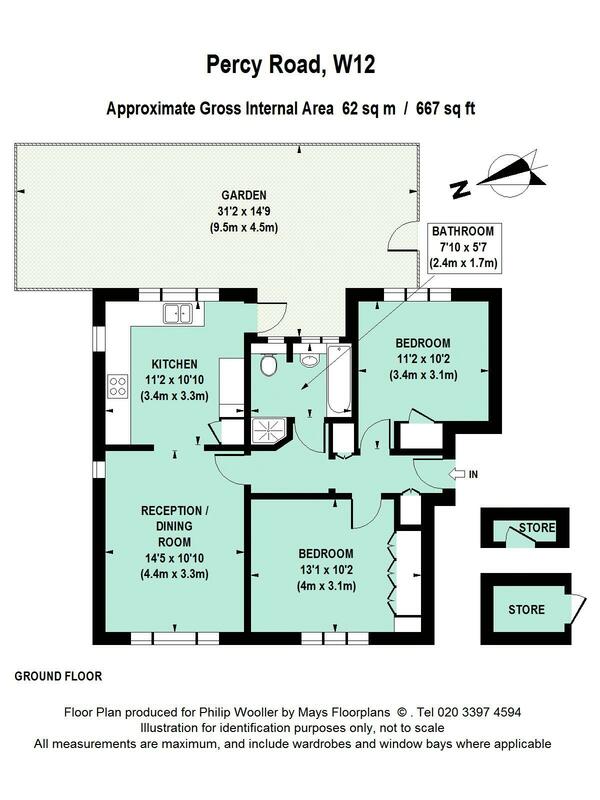 667 sq ft / 62 sq m approx.